Warren Bennis (1925 - 2014) was an American scholar, organizational consultant, and author, who was widely regarded as the pioneer of the contemporary field of leadership. He served as Distinguished Professor of Business Administration at the University of Southern California, as chairman of the Advisory Board of the Center for Public Leadership at Harvard University's John F. Kennedy School of Government, and as a consultant to multinational companies and governments throughout the world. In 2007, Business Week called him one of ten business school professors who have had the greatest influence on business thinking. He received 20 honorary degrees and served on numerous boards of advisors. He authored dozens of articles and over thirty books on leadership, including Learning to Lead and Organizing Genius. "On Becoming a Leader is the indispensable handbook for anyone who had become a leader. 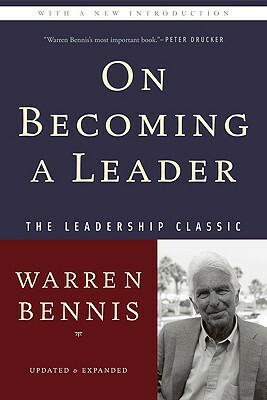 Warren Bennis maps the terrain of leadership with a rare sense of wisdom and authority."